Special Offer: Use promo code: SpringTech to save $75 now through May 31st! iD Tech is the world leader in summer STEM education, with over 400,000 alumni and 20+ years of experience. 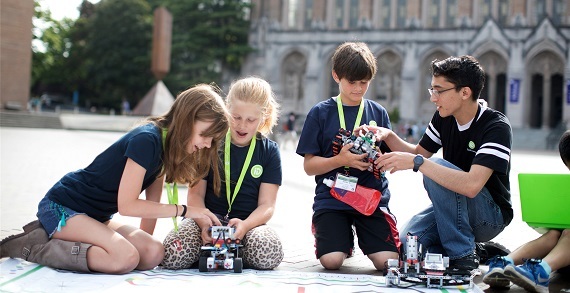 Programs for ages 7-19 are held at 150 prestigious campuses in the USA, Europe, and Asia, including Stanford, NYU, HKU, and University of Cambridge. In addition to their flagship iD Tech Camps for ages 7-17, iD Tech also offers all-girls camps, teen-only Academies, an advanced capstone program, and year-round Online Private Lessons. 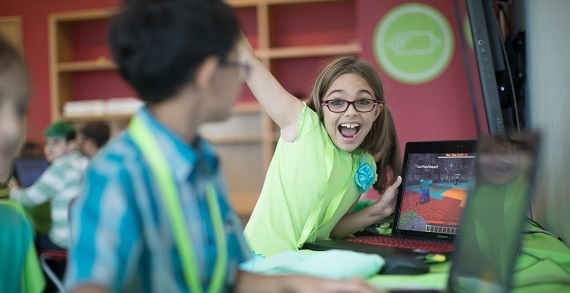 iD Tech Camps is the flagship summer tech experience, offering courses for every interest and world-class instruction. This summer your student can code a mobile app. Design their own video game. Produce a viral video. Or discover the secrets of cryptography. Whatever their passion, iD Tech Camps offers an expansive lineup of courses to kick-start their future in tech. The unique program blends instruction with fun camp activities for a well-balanced experience. In each week-long session, your child will explore a prestigious campus, create an impressive project, and build skills that last long after summer. Courses are offered Nationwide including Ohio State University in Columbus.